Years ago the idea was born. It was born from passion and dreams. It has developed gradually. It has been changing and transforming into its present shape. The main power of it was to create a useful product for people who seek for innovative perspective for personal transport. There were certain steps from the very beginning to get the current stage. From a simple idea to the first action. From sketches to the computer visualisations. From a model to the prototype. The first one was Road Hawk - the authorial prototype by PIMA Velo Bike. Until it has been fully finished to be sold as a perfectly polished product a new possibility occured. There was an opportunity to acquire production and trade consession for Cab Bike GmbH, the velomobile that was backfitted by Maciej Kaczmarek. The next step was to develop and improve the vehicle. 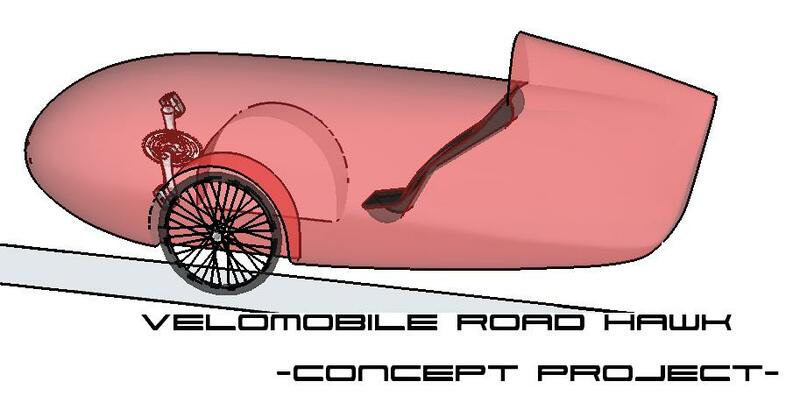 The original Cab Bike has been transformed into Cab Bike Hawk - the technically and stylistically updated velomobile. PIMA Velo Bike gave it a new image and made it into the first prototype item - as it is presented on the PIMA Velo Bike website. At present PIMA Velo Bike is working on development of its velomobiles and various bike accessories i.a. bike trailers or bike trunks.